It was one of our favourite Friends episodes, when the freakily ghoulish Gladys was given to Monica and Rachel from Phoebe. The creepy picture saw Gladys trying to escape from the frame, and we were 100 per cent with Monica when she said she didn’t want it hanging up in her house. 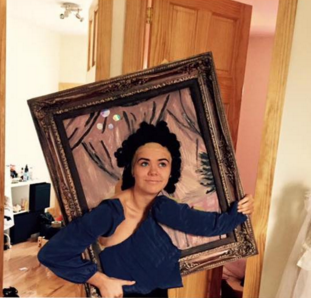 Now though, one hero of an Irish woman has recreated the look in a brilliant Halloween costume that we think will give a lot of people a fright tonight. Serious effort went into this! 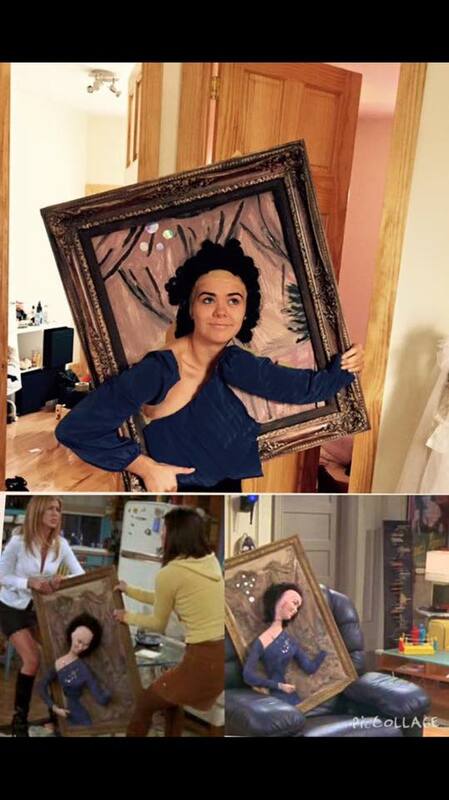 Jennifer O’Connor from Rathfarnham in Co. Dublin is currently living in New York and went all out for the Halloween festivities in the Big Apple tonight with this pretty awesome homage to Friends. Her friend Robyn Cahill, who sent us in the snap, said that Jennifer spent ages making it… though she may be regretting it a little bit come 2am tonight as it’s apparently really, really heavy. That’s some serious DIY costume right there. Thanks to Robyn for sending this our way. Have you something weird or wonderful you'd like to share with us? Drop us a line on hello@her.ie or tweet us @herdotie.